Throughout my hiking triple crown my style of hiking, speed, efficiency, and favorite gear changed drastically. This wasn’t the case during the bikepacking portion. Checkout my Top 5 favorite gear choices from the bikepacking portion of the project, HERE. When I started the Appalachian Trail (AT) I started with a 75 liter pack that weighed around 50 pounds. Most of my gear was pretty standard as I didn’t know there was other options. The learning curve for a thru-hiker without much prior hiking experience is extreme. I do wish I knew what I know now back then. My AT experience would have been very different. My favorite gear items from the AT would have to be my MSR Superfly and my Outdoor Research PL150 gloves. What I loved about the MSR Superfly was it’s simplicity, minimal weight, and efficiency. I had the version with the auto start which was very nice to have, especially when your hands are cold and using matches or a lighter would be hard to do. As I started my AT thru-hike on the last day of February. I encountered many freezing mornings and my PL150 gloves kept my hands toasty warm. There was even a white-out blizzard on April 1st on Roan High Knob in North Carolina, where at the summit almost a foot of snow fell. I was very happy to have gloves that kept my hands warm. Between the AT and Pacific Crest Trail (PCT) I hiked the Long Trail (LT). The LT is only 272 miles, and shares 100 miles of trail with the AT. After learning a ton from the AT I went light. I’m guessing my base pack weight was around 10 lbs. compared to the 25 or so on the AT. 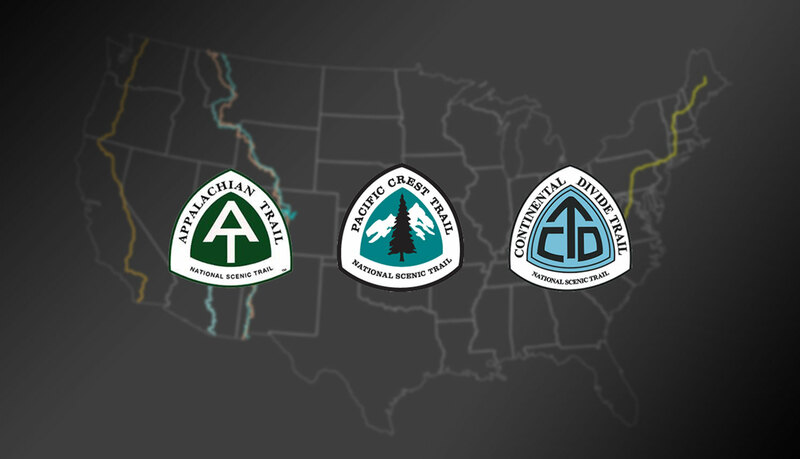 The Pacific Crest Trail was my third thru-hike after thru-hiking Appalachian Trail and Long Trail. I felt like on the LT I went too light in some areas so I once again changed up my gear list. My Favorite gear from the PCT was my Julbo Race 2.0 Sunglasses and Ibex Woolies 150 Crew and Ibex Woolies Boxer Briefs for sleeping. Julbo make the best sunglasses and their lenses adjust perfectly to the constantly changing light when hiking in the woods, above treeline, on snow fields, you name it. I currently own about 8 pairs of Julbo sunglasses and Goggles, their that good. My other favorite gear, were my Ibex top and bottom’s. They were great for sleeping in. What I love about Ibex is it doesn’t hold smell like synthetics and offers better warmth if it’s wet. -Unfortunately Ibex has shut down and is no longer in business. With that said I will wear my Ibex pieces until their rags, I love their stuff that much. Once again between thru-hikes I completely restructured my gear set up. Not only was it to save weight and be more efficient, but also to adjust to new conditions. You can see my gear lists for the AT and PCT here. I trimmed 10 pounds off my pack weight between the AT and PCT. When it came time to hike the Continental Divide Trail (CDT) I once again changed up my gear. I started the CDT with about a 11-12 lb base weight, probably my lightest pack of the triple crown. My favorite gear on the CDT was my Superfeet insoles and my Dudeproducts Dude wipes. I also switched from using a chemical to treat my water to Platypus’s GravityWorks filtration system. I’ve been using Superfeet for years now. They supply amazing support and make insoles for all my shoes, not just my hiking shoes. Superfeet even starting make sandals and shoes. They are my go to footwear for the summer. Dude Wipes were instrumental for staying clean on the CDT (or any place for that matter). I’ll never use toilet paper in the backcountry again. Large, moist and sturdy Dude Wipes have you covered. I can’t wait to try their Dude Shower. I love the simplicity of the Platypus GravityWorks system. All I had to do was fill one bladder with unfiltered water, hang it, attach the hose to a clean bladder/bottle and sit back and relax. Personally, I can never sit still so I used this time to do other camp tasks, making my camp chores go quicker. You can checkout this video about the GravityWorks to learn more. Every hike I go on I learn more about my gear and myself. Usually the result is a change in how I hike or what I think I need. I say “think” because you never know until you get out there again and try whatever it is you think might work for you. Ever hike is different and you have to adapt to each one. You can support the One of Seven Project and it’s sponsors by clicking on the images and and links on this page. Thank you! Curious to know what my Top 5 Favorite BIKEPACKING GEAR items were, then click HERE.